I have experimented with a few different air options for paint manipulation, but this compressor is by far the best option when you are working on large pieces, or a large number of pieces. 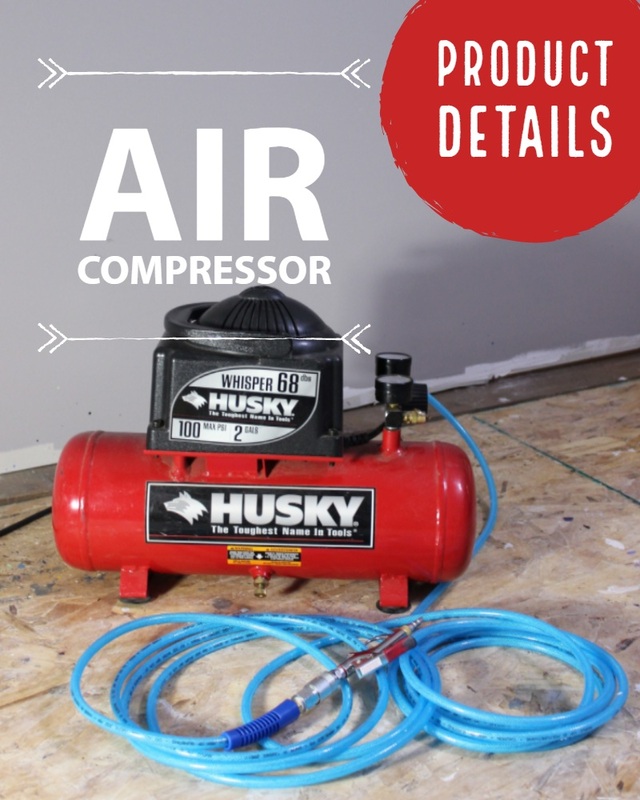 I use a 2 gallon Husky air compressor that has a max PSI of 100. This brand is sold at Home Depot, but I wasn’t able to find the exact model anymore. Instead, I have linked a comparable model that goes to 110 PSI. 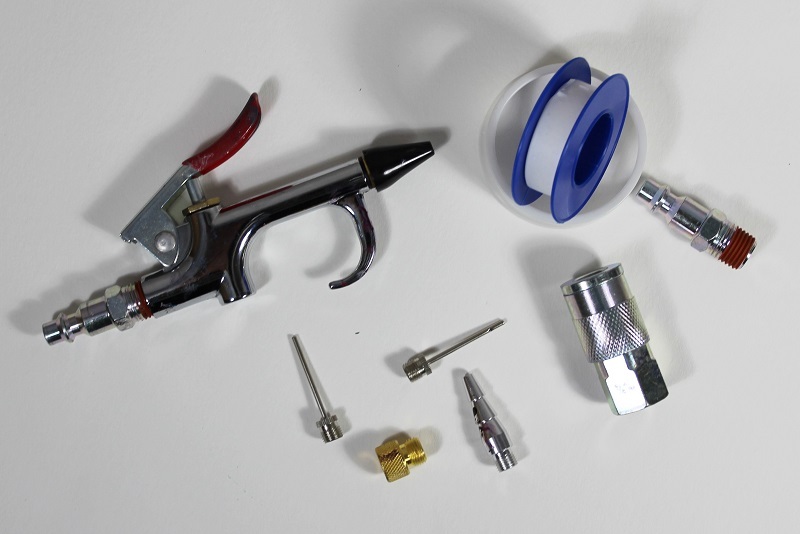 In addition to the compressor, you will need a compressor hose, an accessory kit, and thread seal tape (helps prevent air leaks in connectors which are very common). You can always shop for similar products like this at home improvement stores. If you have issues assembling the connector pieces, YouTube can help! There are a variety of attachments that you can put on the hand gun, but I mainly use the conical silver tip, or the black rubber tip that I have from a different accessory kit. There is usually a release valve on compressors that you will want to open after each use so any build up moisture can escape. Your tank could rust if you don’t do this, which can lead to weak tank walls. You don’t want that! You will want to exercise a bit of caution when using the compressor. If you are in a small space, wear earplugs when it is filling. Also, be considerate of neighbors and sleeping babies. Pro tip: Let the tank fill and then turn off the compressor to avoid getting startled when it kicks back on while working. I have splattered paint many times by the sudden noise. Work in an area that can get messy. Put plastic on the walls and floor if necessary. No matter how hard I try to keep the paint contained, I still find splatters on random surfaces. Have any questions or want to know about other supplies I use? Leave a comment below!